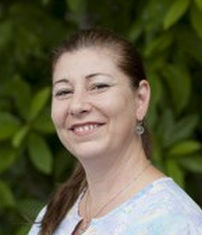 Debbie has been professionally certified as a massage therapist for 20 years. She received a Bachelor of Science degree in Elementary Education from Eastern Kentucky University, and graduated from S.N.I Massage School in Lake Worth, Florida. Debbie received her National Certification while in FL. She presently resides in Ft. Thomas and is licensed in the state of Kentucky, and has been working in our office since 2000. Clinical and private practice experience comes from working in the spa industry, resorts, holistic healing centers, a yoga center, and current chiropractic office. 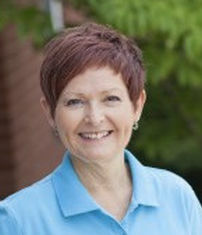 Debbie combines traditional and leading edge techniques to provide a wide range of bodywork and pain management solutions. Various and therapeutic modalities range from light touch such as Reiki, Cranial Sacral Therapy, Bamboo and Swedish Massage to Deep Tissue. Lillian was introduced to energy healing before she studied massage therapy. She blends these practices, which enables her to tailor a massage treatment to best benefit the client. The health and happiness of the individual is her priority, which makes each massage a unique experience. Some of general aspects of her sessions include hot stone application and Thai stretching. The stones warm the tissue to a much deeper level, enabling greater and easier muscle response. Then incorporating Thai stretching techniques helps to lengthen the warm, relaxed muscles. Energy can be incorporated into a massage or a Reiki session can be scheduled separately. Lillian has been with our office since 2003. Ute has been with our office since 2008. She has been licensed in Kentucky since 2005 and also in her native Germany since 1994. 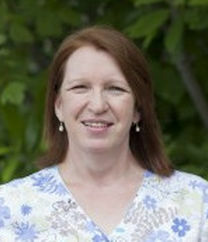 Her therapeutic massage treatments include: Swedish, Therapeutic, Deep Tissue, Hot Stone, Bamboo Fusion, and Lymphatic. She promotes the beneficial results of incorporating massage with chiropractic adjustments. She also believes that by stimulating the body’s own systems, we can improve the body’s God given ability to heal. Beyond improving your overall flexibility and range of motion, Ute also promotes taking a natural approach along with massage therapy to relieve pain, headaches, anxiety and at the same time boosting your immune system.